Home > Blog > Articles > Where can I find the best jazz band in London? Where do you find the best jazz band in London? Well, you’ve found them! Here, is the answer to that. Maybe we should start by bigging up this thing called jazz. Chances are, if you are reading this blog, that you are already convinced about the reasons for hiring a jazz band. However, just in case you’re not yet – and just to reinforce the point – jazz really is music for all occasions. Basically, if you want something celebratory, classy and cool then jazz fits the bill perfectly. Whatever checklist you come up with, a live jazz band will tick all the boxes. Few styles of music are as fitting for a wedding as they are a funeral. But, jazz is. However, you’ll be wanting only the best for your event: the best jazz band in London. Why are Silk Street Jazz the best jazz band in London? The planning and preparation that goes into making any event a truly memorable one – and how we take care of that for you. We have many happy clients – just read more of our reviews. What can Silk Street Jazz do for you? To put it simply, wherever in London your event is and whatever your event is, Silk Street Jazz will show you that we are the best jazz band in London. For weddings and funerals, we are the perfect hire. 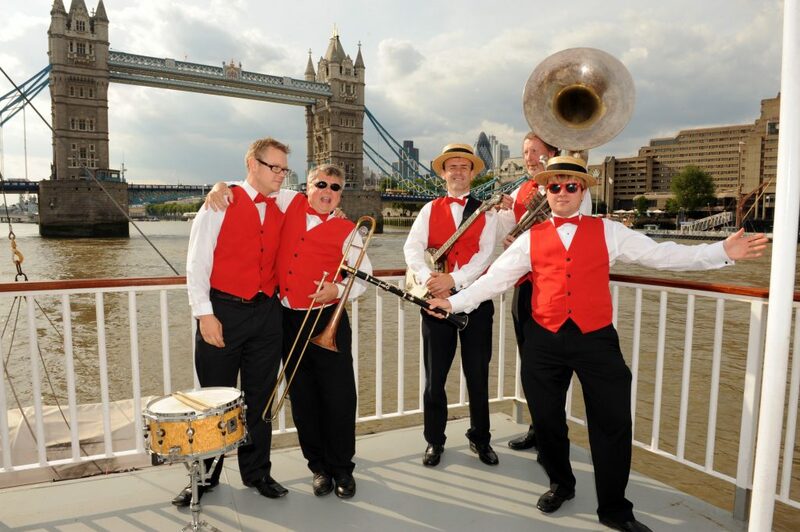 Furthermore, if you are planning any sort of party or corporate event we are the best jazz band in London for that too. We have performed at some of the most prestigious venues in the capital: Savoy House and Savile Club, Mayfair and many more. Not only that, our professionalism and versatility are unwavering. What’s more, we take care of insurance, safety and equipment, so that you have full assurance and peace of mind that your event will run like clockwork. If you have any questions or you would like to discuss an event you are planning get in touch today.